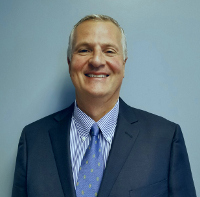 Jonathan began his insurance career in 1995 with Arthur J. Gallagher & Co. Jonathan graduated from the University of Massachusetts at Amherst with a degree in Business Administration with a concentration in Human Resource Management. At Gallagher he began as an account executive and worked his way up to Area Vice President. During his 12 year career with Gallagher, and since joining Amity in 2006 as an equity partner at Amity Risk Management Services, Jonathan has specialized in risk management products and services in addition to traditional insurance products. His expertise and insurance knowledge allows him to identify and evaluate exposures, analyze risk and risk tolerance and design insurance programs to meet specific risk management needs of his clients. Jonathan works with a wide range of Parking Operators which vary in size and demographic locations. In 2006, Jonathan joined the Amity team to help spear head and manage the risk management division (ARMS). His goal remains to educate his clients and prospects on the most cost effective approach to protecting their company's assets and bottom line. Jonathan is a licensed property and casualty insurance broker and holds an Associate in Risk Management designation.